Genesis Pocket Monster (unknown) in 07:57.7 by zoboner. 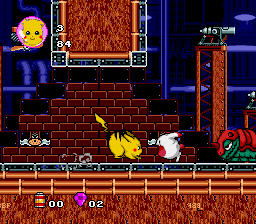 Pocket Monster is a relatively infamous bootleg game, based on the Pokemon franchise. Despite its infamy, it's a relatively generic platformer. This run by zoboner beats the game in less then eight minutes.